is a water-based bactericide, fungicide, deodorizer, & antimicrobial all in one unique formulation. One application kills allergy- and disease-causing germs, fungi, mold, and mildew. 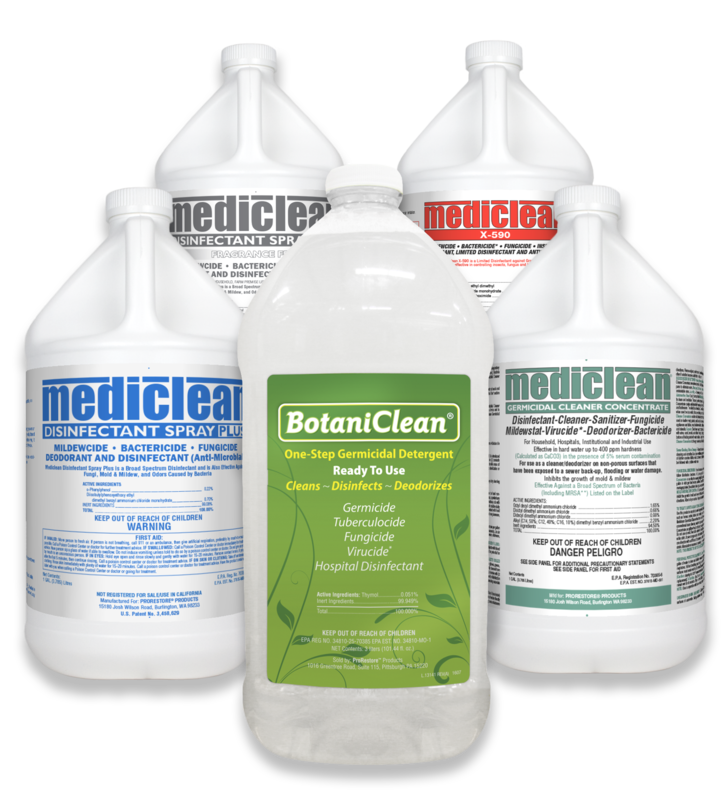 Mediclean kills odor-causing bacteria, including gram negative bacteria - the bacteria encountered in sewage backups and toilet overflow situations - one of the reasons Mediclean THE choice for restoration professionals. Mediclean Disinfectant Spray Plus also provides long-lasting residual protection, so it keeps working, preventing germs and fungi from growing on surfaces, long after the initial application. 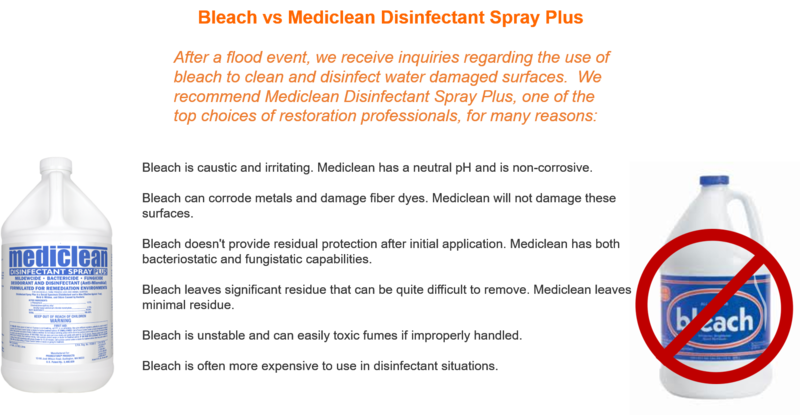 Insurance agencies nationwide recognize Mediclean Disinfectant Spray Plus for treatment on water losses. Apply to hard surfaces, carpet, upholstery, and mattresses - just about any surface in need of cleaning and disinfecting. Apply via sprayer** to porous surfaces at a rate of 1,500 square feet per gallon. Spray until moist. Brush into carpeting, and allow 10-20 minutes for drying. See label for additional application instructions. **ULV fogger (ultra low volume), pump-up sprayer, foam generator/sprayer or an airless paint sprayer.